We took P to see Ensemble Theatre of Cincinnati’s current production, Cinderella, and had the most wonderful time. Each year the productions at ETC get better and better. This is our third year taking in their holiday feature and P is really starting to get into live theater which thrills me. ETC’s space in OTR is fantastic, there isn’t a bad seat in the house. It’s small and intimate and the set up really draws you into the action. And with the actors being right there, they really have the chance to interact with the audience. Cinderella waved at P during the finale and I thought her head was going to explode she was so tickled. 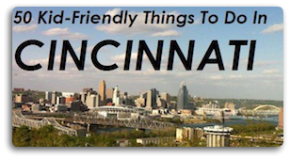 The performers are top-notch; great voices, so funny…a real treasure here in the Queen City. We lucked out this year because they did a meet & greet following the show. I could tell P thought it was pretty special to talk with everyone – you don’t get that kind of attention everyday. 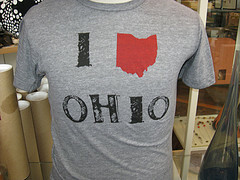 After the show we strolled around a bit in the OTR Gateway, picked up a cool t-shirt I’ve had my eye on at Mica 12/v (fantastic shoppe for those one of a kind gifts on your Christmas list). It was a bit cold today, but bundled up with the snow swirling, it was the perfect holiday scene. Hungry, we took a load off and feasted at Senate. Surprisingly kid-friendly early in the evening, the service is superb and the food delicious. Now, just to warn you, they don’t have a “kids menu” so might I suggest you get your little people the Lobster Macaroni…it’s a win-win because the portion is big enough that you can sneak some nibbles too. I say this because you can’t pass on the hot dogs and duck fat fries. And save room for dessert because the warm pretzel beignets with caramel marscarpone will rock your world. We had a terrific time today. 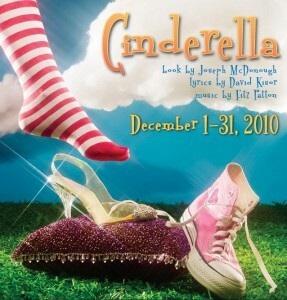 Get tickets for Cinderella (it’s running through December 31st – don’t miss it!) 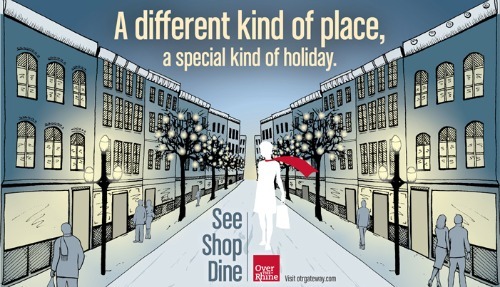 and then treat yourself to a hot dog afterward – it’s a perfect way to spend a Winter day in Cincinnati! Read more on all the fun to be had and memories to be made in FFC’s post on OTR from last week. Follow ETC, Senate and OTR Gateway on Facebook for all the latest! y les multiplique, Saludos. Bendiciones. Both of my kids LOVED IT! Can’t wait to see it with Cassie!